Start with Okta. Go anywhere. Okta provides a flexible, cloud-based user store to customize, organize, and manage any set of user attributes. Okta single set of credentials gives employees access to enterprise apps in the cloud, on-prem, and on mobile devices. One sign on. One password. Simplify and automate user onboarding and off boarding with seamless communication between your directories and your applications. Okta’s robust policy framework, comprehensive set of modern second-verification factors, and adaptive, risk-based authentication integrates with all of your apps and infrastructure. Okta’s mobility management puts user identities at the center, securing mobile access while guaranteeing a seamless user experience. Our team here at Carahsoft will help you understand how Okta helps secure connections between people and technology through their identity cloud. Join us for a 30-minute demo to get all of your questions answered. Join us for an upcoming session! 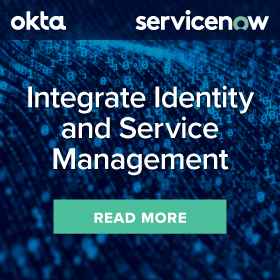 Carahsoft Technology Corp., the trusted government IT solutions provider, today announced a partnership with Okta, a leading provider of identity for the enterprise. The combined Okta plus SailPoint identity management solution offers a jointly approved way to use both systems to secure user identity and manage access at every step, while ensuring your enterprise has the governance it needs to keep users, data, and applications safe. Passwords are under attack. Last year, three out of four enterprises reported phishing attacks where user credentials were targeted. Given that stolen or weak credentials account for 81% of all data breaches, organizations must respond by enforcing more robust authentication security. Download this datasheet to learn how Okta's FedRAMP certified IT products help government agencies modernize their IT systems. Integrate Active Directory with your cloud app for hassle-free (and budget-free) SSO. 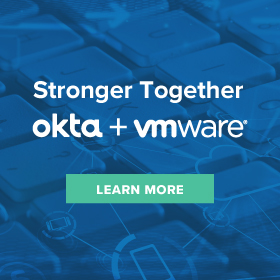 Okta integrates with the software and systems you rely on to make it easy to adopt new technologies, streamline user management, and automate workflows. Broadcom cuts time to integrate new directories in half, accelerates user time-to-productivity by a third.